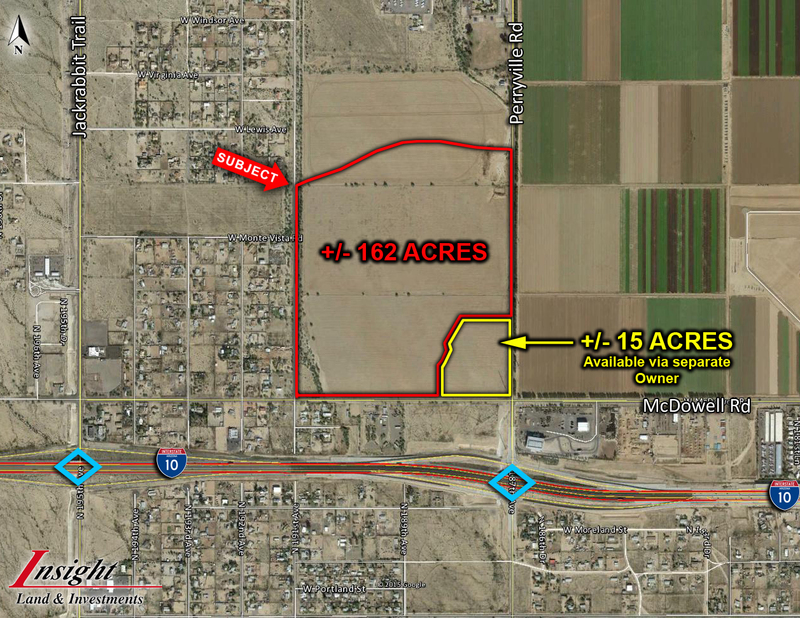 Great location in Buckeye, with immediate access to I-10 via interchange at Perryville Road. Property is the only site North of I-10 with a current Water and Sewer solution in place. +/- 15 acre hard corner is available via separate transaction.